The Bakersfield Californian. Dec 3, 1909. The only known photo of William Bullock. 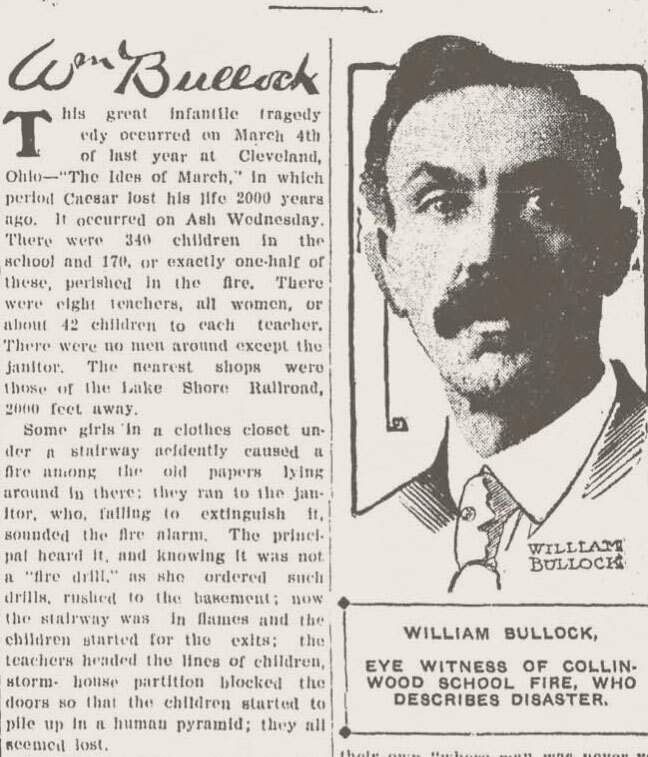 William Bullock had ambitions. By 1908, the twenty-four year old not only ran the American Theater, he restored damaged films as a side business and made movies of his own. He traveled West to capture the scenic splendor of the region, shooting panoramic films in Yellowstone, Cripple Creek, and Utah. Bullock showed the movies at the American and even became a small distributor, renting them to other theaters and traveling showmen. Others defended motion pictures from angry moralists in similar terms, but Bullock did much more than talk. He spent energy, time, and money filming Western landscapes and more local scenes, even as the tide of movie making flowed rapidly toward fictionalized storytelling. By 1907, raucous comedies, crime movies, boxing films, and romances drew larger crowds at most theaters, even if Bullock claimed that “panoramas” were the most popular kind of film. As a theater owner, Bullock understood the imperative to entertain his customers and embraced fictional, sometimes “immoral” movies, too. The American screened “lugubrious melodrama, screaming comedy, inspirational travel scenes, [and] the wonders of science and art.” Film, it turned out, had multiple possibilities, some of them conflicting. His theater pursued each of them at different times, always with an eye toward profit. Burning of the Standard Oil Co’s tanks, Bayonne, NJ, 1900. LOC. The Bayonne fire raged for days, as fuel tanks exploded, pouring rivers of fire into the adjacent bay. People in carts, mostly immigrant workers, flee the disaster. Collinwood, a perfect, bright attraction, drew Bullock to its cinematic horror. From the earliest days of the movies, customers flocked to onscreen disasters; larger filmmakers shot them often—the Galveston Hurricane, the San Francisco Earthquake, and other calamities. Four years earlier, Bullock had been a pioneer in Cleveland’s movie buisness, but larger, better financed theaters were already appearing downtown. Those theaters, though, couldn’t seize this opportunity, because they only displayed movies. He made them. Later, Bullock insisted that his footage had instructional value, teaching viewers about the costs of reckless building and the particular vulnerabilities of the Lake View School’s construction. When he first got word of the fire, though, the appeal must have been more visceral. It was an opportunity. He had the camera and he knew how to use it. There would be hundreds of photographers at the site, professionals and amateurs taking snapshots. But if he got to Collinwood, he might create the only motion picture of the event. When Bullock arrived, according to one of his retellings, he “placed the camera on and among the burning debris,” capturing the horror as others struggled.